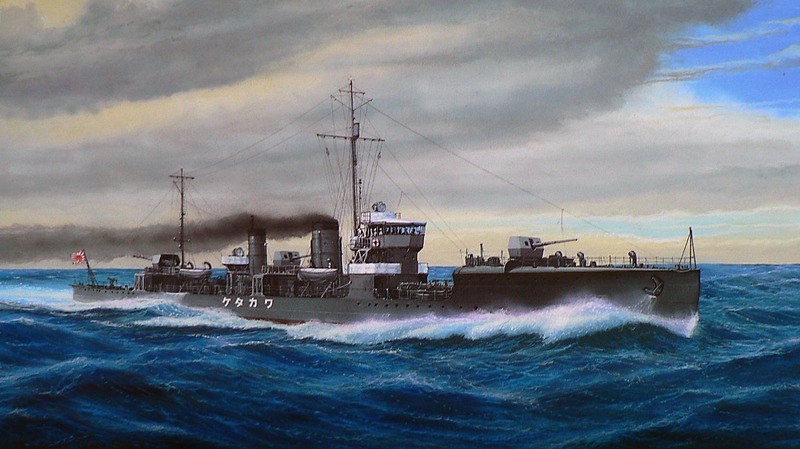 During 1941 and 1942, the WAKATAKE second-class destroyers underwent a refit. The center 4.7 gun, between the funnels, was removed. The remaining two 4.7/45 cal, low angle guns were replaced with improved dual purpose 4.7/50 cal. mounts. Two triple 25mm mounts replaced the center 4.7 mount. Mine sweeping gear was removed and the number of depth charges was increased by 36 with 4 throwers fitted.